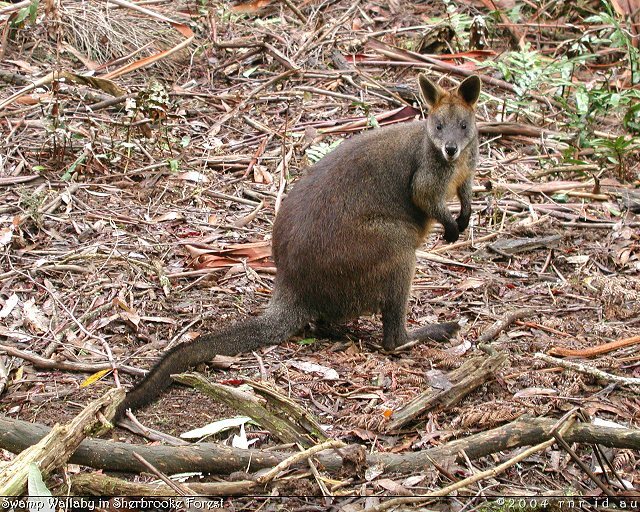 Swamp Wallabies (also called Black Wallabies) are among the more common large marsupials in my area and I grew up seeing them on our property. The feed mainly on grasses from dusk and rest hidden in shrub during the day. Their preferred habitat consists of places providing such adequate shelter, like eucalypt forests. 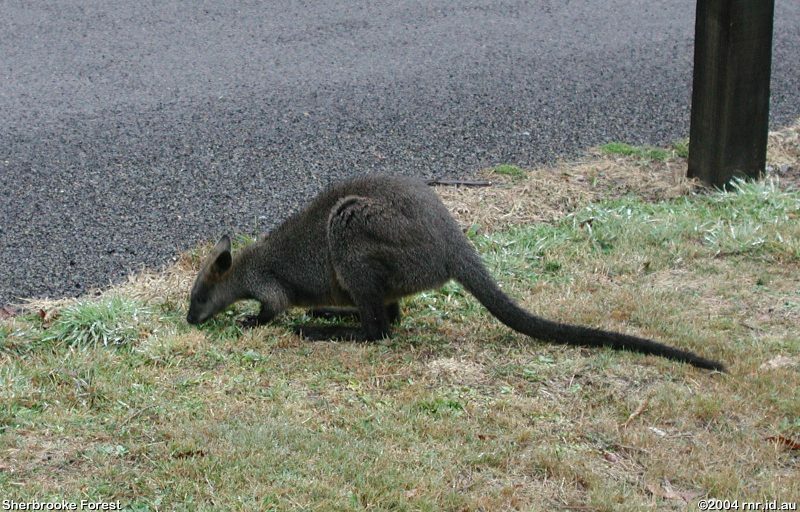 Wallabies are normally shy and can often be seen hopping into the bushes as one approaches. This first one resides around a car park and is a little more accustomed to human traffic so I was able to get closer than otherwise expected. Unfortunately since it is grazing in a car park it doesn't make for a good backdrop. 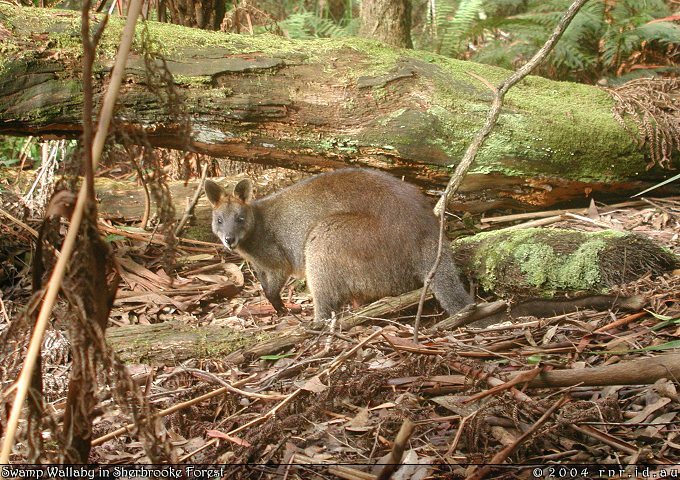 The other three photos are from the same wallaby that I followed for about an hour. It foraged on the forest ground picking out fallen green leaves and munching on some low fern fronds. 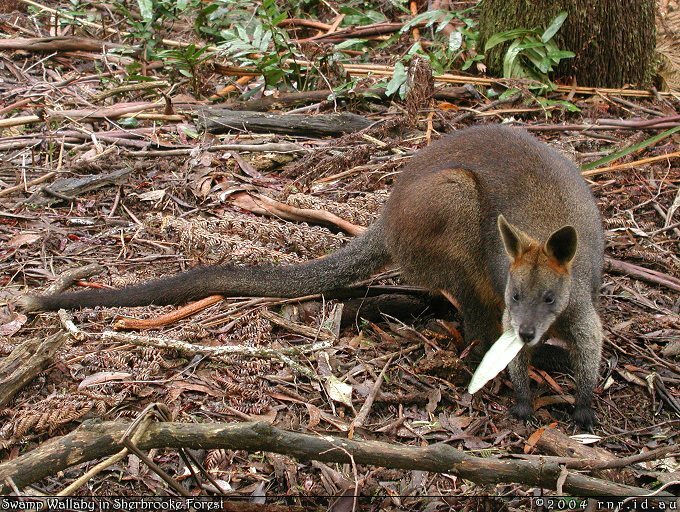 Search for more Wallaby images using AllTheWeb, AltaVista, Google or Yahoo.